Richard De A'Morelli has published 12 books old-school, through traditional paperback publishers, and his works have been translated into four languages. His books include out-of-print classics being reprinted by Spectrum Books, including Psychic Power: How to Develop Your ESP and Numerology: Key to Your Inner Self. 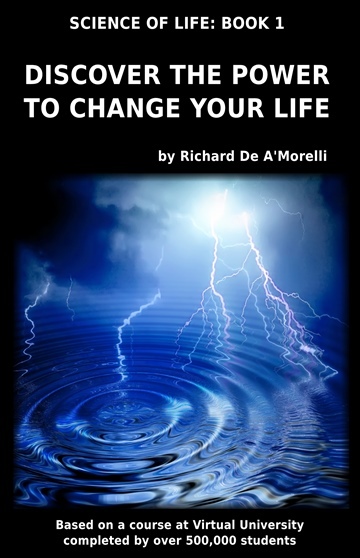 Following a lengthy hiatus from book writing and a period of inner healing after his son David was killed, Richard's latest release is an uplifting book, Discover the Power to Change Your Life, now available in Kindle and paperback editions. Richard has published 500+ by-lined feature newspaper and magazine articles and worked as a news reporter, tabloid feature writer and columnist. He also has developed and taught 20 courses on writing, grammar, Web Design and Web programming at Virtual University since the 1990s. An experienced editor, Richard has held management-level editorial posts at nationally and regionally distributed magazines. He is a former by-lined editorial staffer to the late Irving Wallace, one of the best-selling authors of modern times.